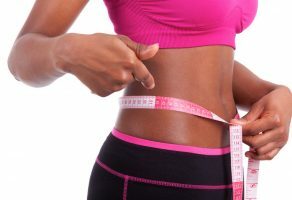 Losing weight is the number one promise everyone plans to keep to themselves as the new year comes in. Problems with being overweight or obese are growing in the United States as well as many other countries around the world, and yet that number continues to grow.In the U.S. alone, over 66 percent of the population is either overweight or obese. Remember to set a reasonable goal, so as not to discourage yourself before you’ve even begun. In today’s fast-paced lifestyle, it seems to be hard to fit the time in to spend more quality time with family and friends. Between moms and dads working, kids going to school and “hanging” with friends, grandparents taking their retirement seriously, there is a lack of time spent together as a family. People are recognizing this, but is it important enough to work at keeping the promise to do better? The average 25 year old American smokes about 2 packs of cigarettes a day. That is roughly about $6 a day, $42 a week, $180 a month, and in a year, they have burnt up $2,190, at least! In five years of not smoking, they would have saved $10,950! Crazy, I know. And yet, many do. Hopefully, those who realize this and resolve to quit this coming January will stick to it and save themselves some money! Clutter is one of the biggest battles we Moms must face every day. Kids collect things, husbands hoard things, we hide things…until enough is enough, and we vow to do something about it. January and February are good months to keep this resolution, since it’s cold outside, and not quite as fun to be out and about. Close yourself up and start going through things for a spring yard sale! While many use the New Year as an incentive to quit drinking, most are not quite ready to make such a dramatic lifestyle change all at one time. Many fail to quit “cold turkey” and do better by gradually weaning themselves from the bottle. If you decide that you want to quit drinking, help is available. Call your local AA support group to find the help you need to stop drinking. Whether it’s plans to go back to school, or learn a new craft, or even a new trade, many decide they want to broaden their education just a wee bit more at the start of a new year. It’s selfless and thoughtful, and many do it. Helping others is a wonderful resolution to make, and can be carried out in so many different ways! Volunteering for events at schools, libraries, local charity organizations, or even the Red Cross. There are so many different ways that one can make a difference in someone else’s life. On top of losing weight, another popular resolution is to get fit. Join a gym or if you don’t have the money, just make sure you walk or jog at least three times a day, and do basic exercises such as sit-ups, crunches, push-ups, and toe touches every day. You’d be amazed at the difference that simple small changes will make in your fitness. Now isn’t this one something we all need help with? In today’s economy, money is tight, so every penny counts. Never leave a penny lying around! Remember, “A penny saved is a penny earned.” Start you a change jar and empty your pockets every night. Open up a Christmas account at your bank. Don’t allow yourself to buy more than what you and your family will eat or use. More money is wasted on food gone bad than anywhere else. Buy what you eat and eat what you buy. Saving money can be easy, but is very possible. You may visit: pueblo.gsa.gov for 66 ways that you can save money in the coming year. This is one of the most self-rewarding resolutions listed. While a certain amount of stress is actually a good thing, too much stress can lead to many health problems such as digestive issues, sleep disorders, heart disease, depression, obesity, skin conditions like eczema, and ulcers as well as many other issues. Take time to relax and enjoy some “me time” every now and then. Try taking Yoga classes or something equally soothing. Face the year with a little less stress and a whole lot more ease! You’ll thank yourself! Research shows that with 52% of participants in a resolution study being confident successfully reaching their resolution goals, only 12% actually did. Men reached their goal 22% more often when they set goals like a system where small measurable goals are being set, such as, a pound a week, instead of saying “lose weight”, while women succeeded 10% more when they shared their goals with others and got support from friends. So, my fellow All Women Stalk readers, tell your friends what your goals are and make sure they show their support – you’ll be 10% more likely to succeed! 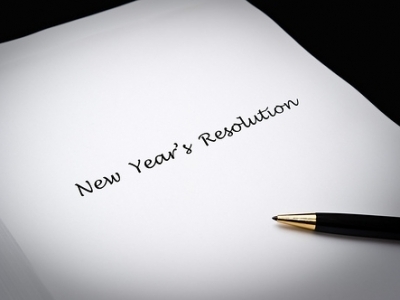 What is a resolution you hope to keep this coming year?